Ian Brown is a playwright, poet and Professor in Drama and Dance at Kingston University, London. 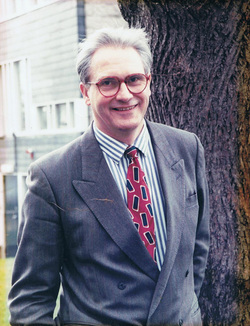 Formerly Arts Council of Great Britain Drama Director (1986-94), he was, until 2002, Professor of Drama and Dean of Arts at Queen Margaret University, Edinburgh. He is President of the Association for Scottish Literary Studies and Chair (until June 2013) of the Scottish Society of Playwrights of which he was founder Chairman (1973-75). His plays include Carnegie and Mary for the Royal Lyceum Edinburgh and The Scotch Play and A Great Reckonin for Perth Theatre. His Poems for Joan (2001) were written in the last months of the late Joan Knight and his collection of poems, Lion’s Milk, jointly with Alan Riach, was published in 2012. He has written on a wide range of topics related to literature, theatre history, language and theatre, cultural policy, and Scottish culture and is General Editor of the landmark Edinburgh History of Scottish Literature (EUP: 2007) and joint series editor for the International (formerly Edinburgh) Companions to Scottish Literature. In that series he co-edited with Alan Riach the volume on Twentieth-Century Scottish Literature (2009) and edited that on Scottish Drama (2011). He is joint editor of the International Journal of Scottish Theatre and Screen. His edited collections include From Tartan to Tartanry, Scottish Culture, History and Myth (EUP 2010) and Literary Tourism, the Trossachs and Walter Scott (Scottish Literature International: 2012). His monograph Scottish Theatre: Diversity, Language and Identity is to be published by Rodopi this year. He is Visiting Professor in Scottish Literature at Glasgow University and to the Centre for the Study of Media and Culture in Small Nations at the University of Glamorgan.